Half up/half down, curls w/braid, etc. Have your own clip in’s or halo piece? We can install/style them. *Late Policy: If you are 15 minutes late, it is up to the stylists discretion if they are able to continue with the appointment or adjust the service provided based on time. *If you have extra thick, curly, or long hair, and extra time is needed for an appointment – $10 will be charged for every 15 extra minutes. *Free 15 minute consultation is required to match hair color prior to ordering extensions. Made of 100% Remy Human Hair, Tape-In Extensions transforms your hair with added length and volume that lasts 6 – 8 weeks before moving them up. These people are magicians. That is the only way I can explain such perfection in creating beauty so quickly and easily! I am mind-blown! I'm THE pickiest about my hair and eyelashes, and they absolutely killed it. So skilled and knowledgeable. Cannot wait to come back! 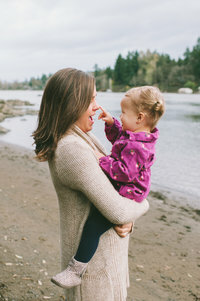 "Maple Photography felt like an extension of our family ... it was like hanging out with friends!" "Their unique approach left me in tears ... they captured our true, messy, love-filled life!"